Ibiza Consell joined with Ibiza’s fishing industry today to launch a new scheme of produce identification and authenticity guarantee for consumers. One side of the label has a unique reference code and bears the logo “Sabors d’Eivissa” (Flavors of Ibiza) which is already widely used in the identification of local produce and gastronomy. The other side has the logo “Peix Nostrum”, (Peix is Catalan for fish), indicative of the fish sold through the fishing brotherhoods of Ibiza. Consumers will soon be able to use the tag information on a newly designed website to find out the date of catch, the fishing boat, the area it was caught in etc. It is also required that for any certified “Peix Nostrum” sold in restaurants, the consumer will be entitled to request the product label as proof. The lobster was first labeled in Ibiza in 2015 through an initiative of island fishermen in collaboration with the Consell Insular d’Eivissa. In 2016 the labelling was extended to high commercial value species such as vermella, cirviola, etc. The main function of labeling is to give consumers the certainty that the product originated on the island of Ibiza. It also certifies that the product is caught by the local fishing fleet, with their standards of sustainable fishing and respect for the marine environment. Another reason is to stop what local fishermen say is the common practice of fish being imported from elsewhere and sold labelled ‘local’ fish. The current regulations for the fishing of lobsters have been in force since 2001. 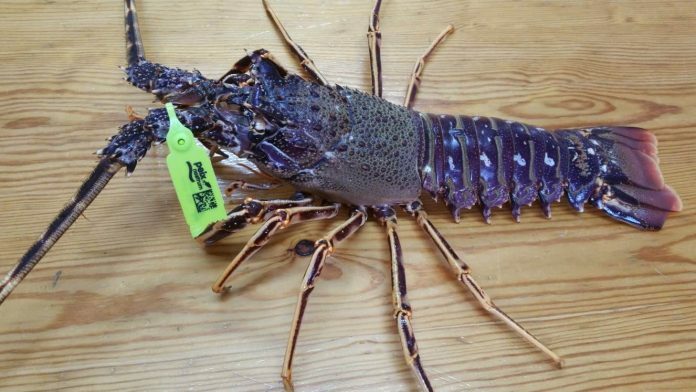 Lobsters can only be caught from April 1 to August 31. They must be of minimum size, and it is prohibited to catch pregnant females (I think it’s what that bit means, something to do with females and eggs). Currently all lobster head (cephalothorax) not exceeding 9 cm must be returned to the ocean. The viability of the lobster population is important generally but also specifically in Ibiza due to the fishing fleet’s reliance on it in the summer months. Ibiza’s total catch in 2018 was 4.5 tonnes, much less than the 10 tonnes caught on similarly sized Menorca. 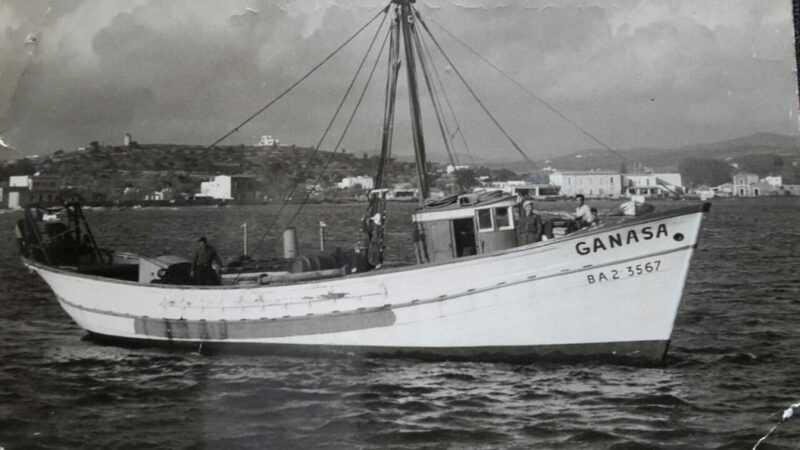 Ibiza’s fishing brotherhoods have a great website full of useful and interesting information. There is a section on the history of fishing and a gallery of antique images, as shown here. There are also pages on fishing sustainability and practices, where to buy Peix Nostrum, and much more. The site is not available in English, but it Google translates quite well.